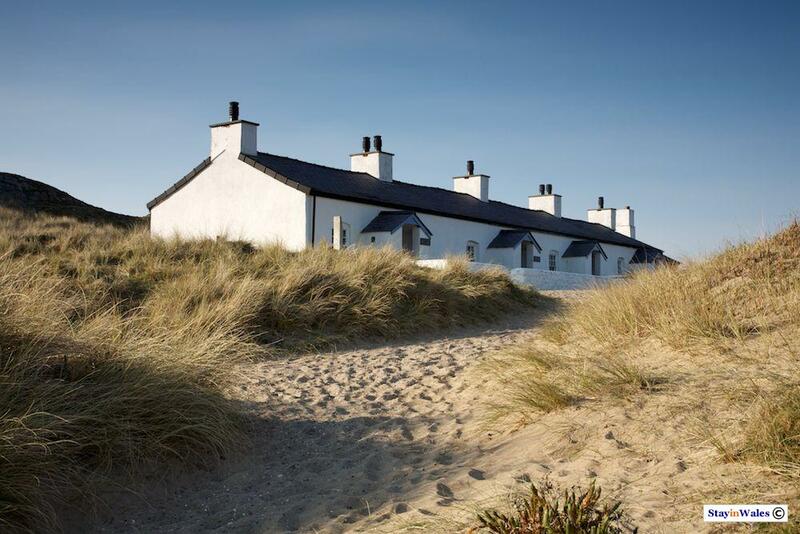 The row of four small cottages on Llanddwyn Island was built for the pilots who helped boats navigate into the ports along the Menai Strait. This narrow channel dividing Anglesey from the Welsh mainland posed a threat of grounding on sand banks to the boats calling mainly at the ports of Caernarfon, Y Felinheli and Bangor to collect the fine roofing slate produced in the hills of North Wales. As well as guiding commercial shipping, the pilots crewed the Llanddwyn lifeboat until its wathdrawal from service in 1903.